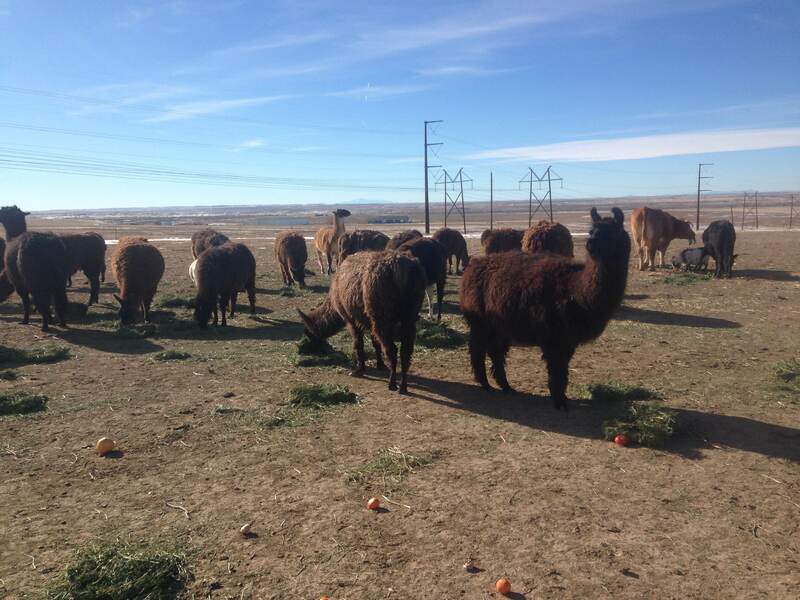 I recently had the pleasure of visiting Peaceful Prairie Sanctuary in Deer Trail, CO. 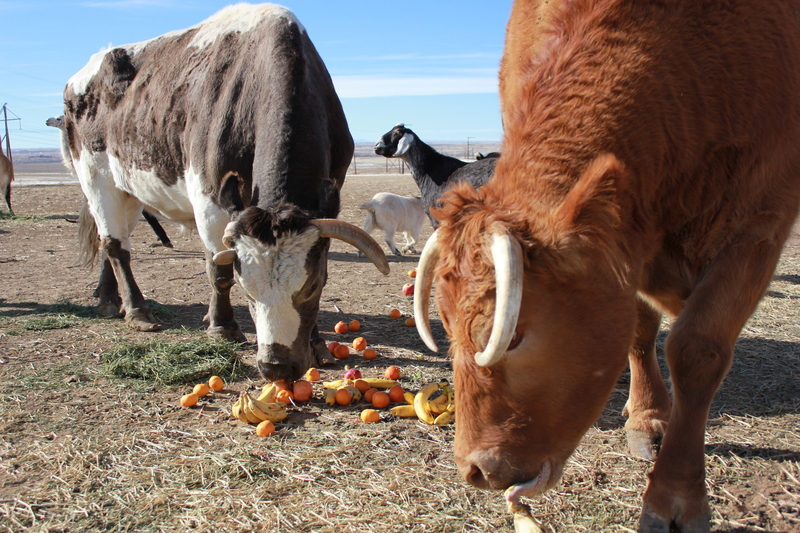 Approximately 1.5 hours drive from Boulder, Peaceful Prairie provides a safe, loving home to rescued farm animals. 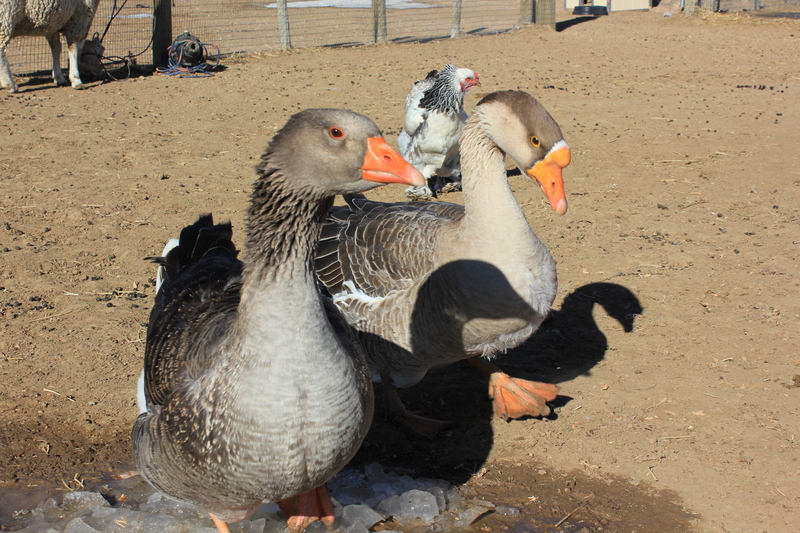 Having hit upon hard times–their main well and cisterns froze and broke in the recent cold spell–Peaceful Prairie is currently doing a fundraising campaign to get back on their feet. During the tour, we learned that they’re slowly recovering (though they definitely still need help!) 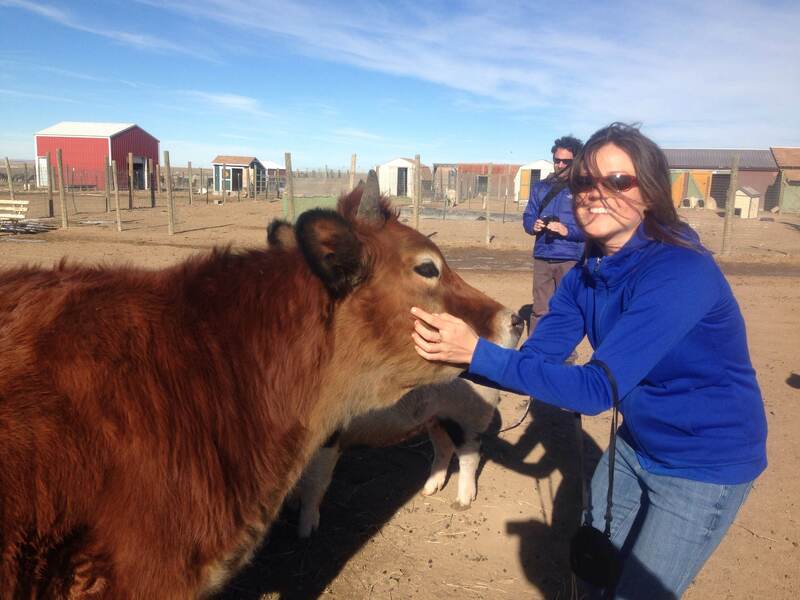 and it was an honor and a privilege to get to meet some of the human volunteers who run the sanctuary, as well as some of the gorgeous non-human animals who make the sanctuary their home. 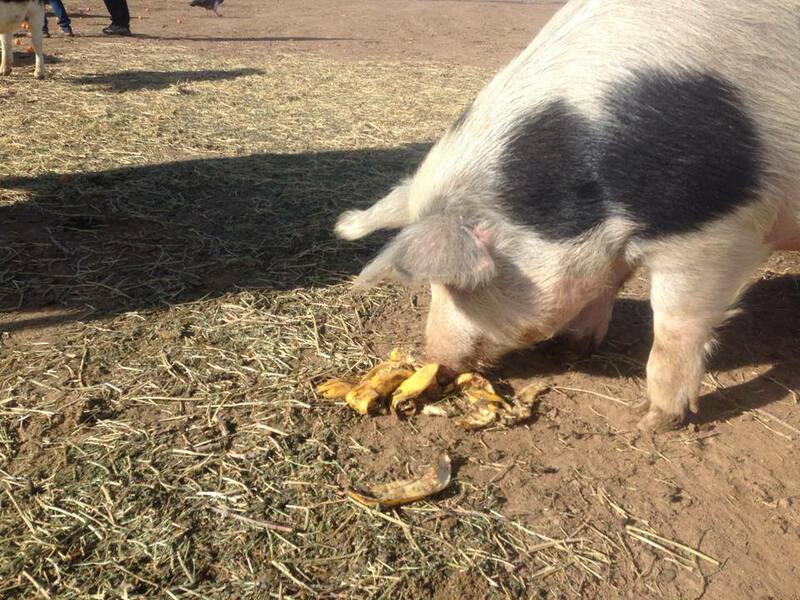 A banana-loving pig at Peaceful Prairie. Justice the cow stole my heart! What a sweetie. 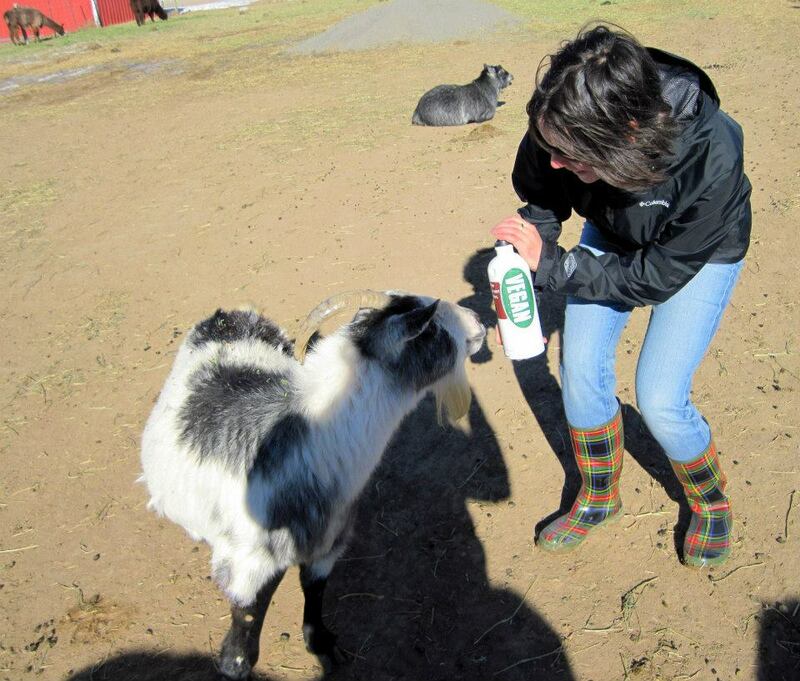 There I am, explaining to a goat that I am a vegan. 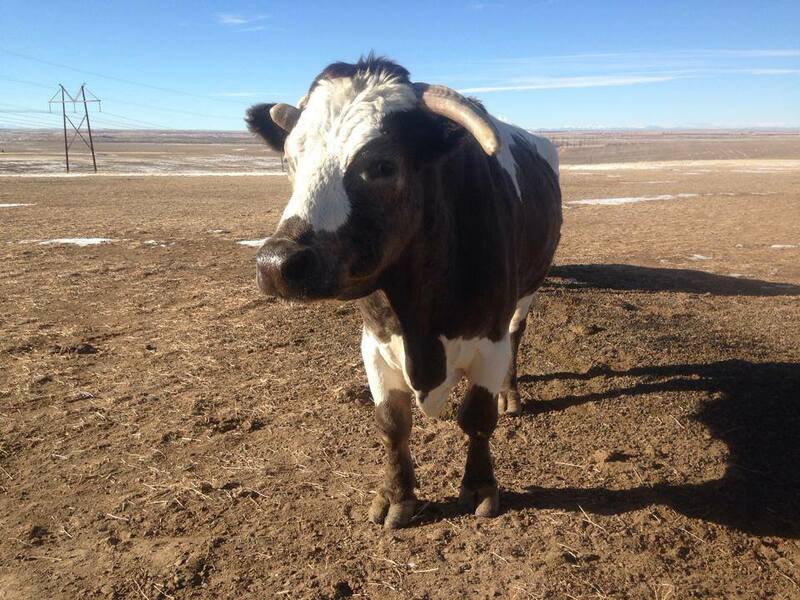 A lovely bovine friend at Peaceful Prairie. 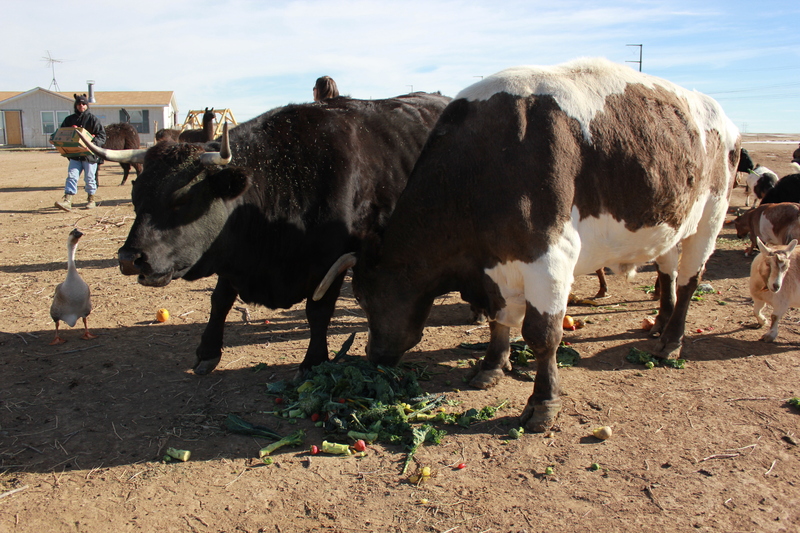 Whole Foods donates expired produce to Peaceful Prairie. The animals love it! 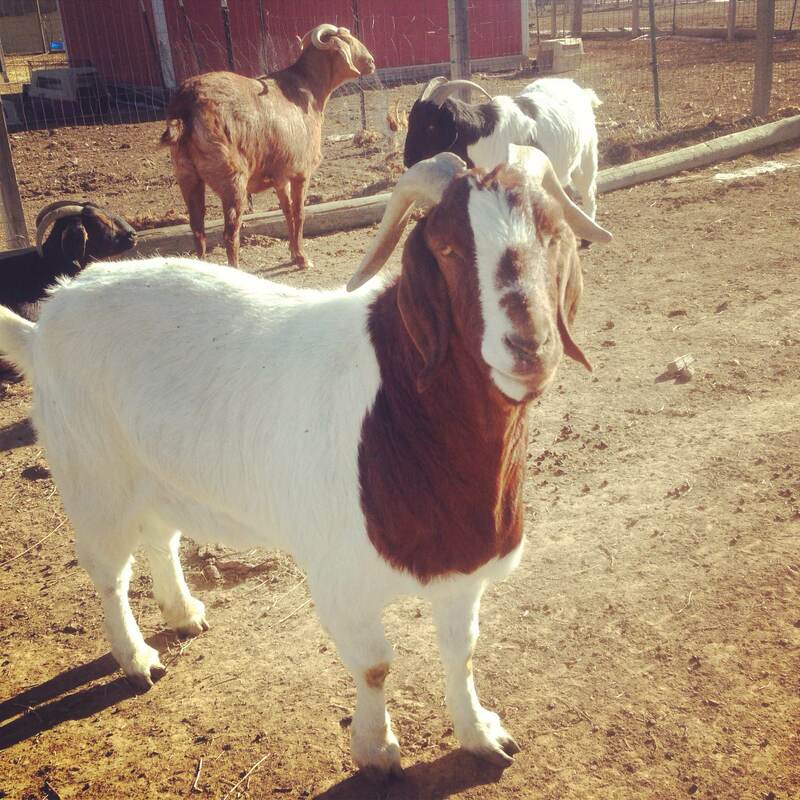 Lots of great goats at Peaceful Prairie. A goat friend at Peaceful Prairie. 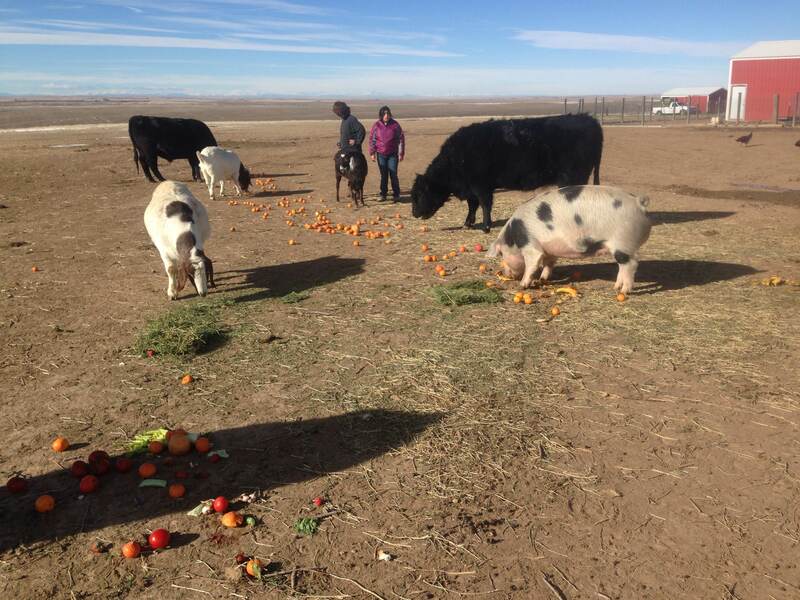 Some of the crew at Peaceful Prairie. Courtney and a new friend at Peaceful Prairie. During the tour, I heard the story of a lovely goat who was rescued a few weeks ago by the sanctuary. 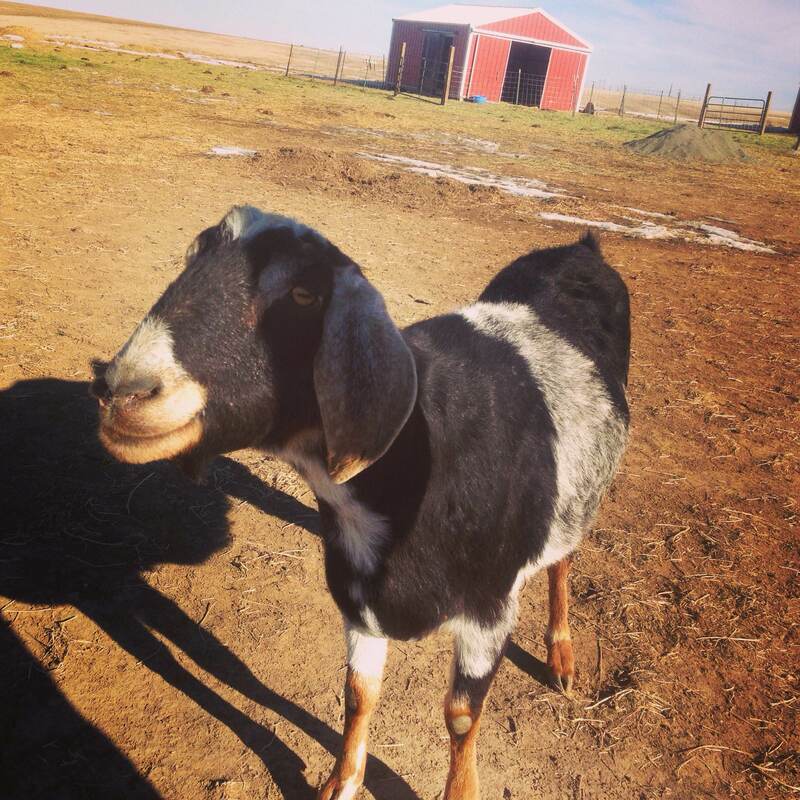 Originally “owned” by an organic, “feel-good” goat dairy farm, this goat was only a few years old but had already had 6 kids (all of whom were stolen from her) and was “spent”–meaning she could no longer produce milk that could be commodified by humans. 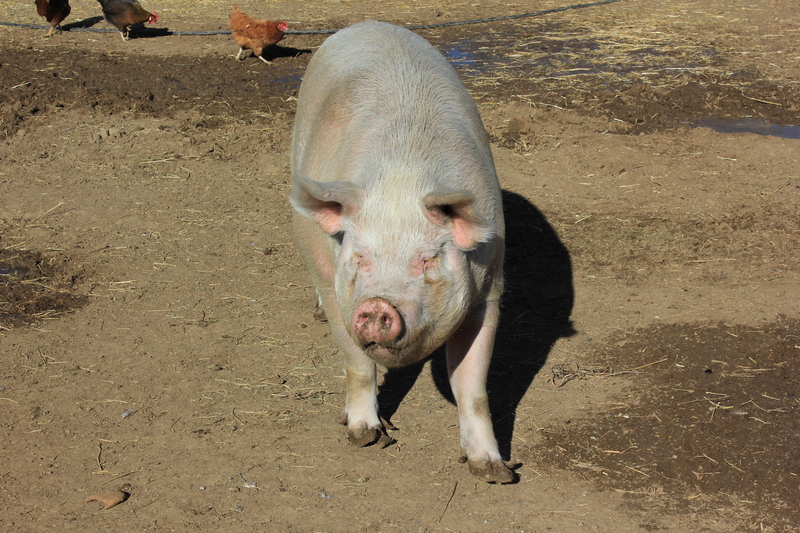 At the time of rescue, she had a severe eye infection and parasites that were left untreated because–now here’s what’s so important to convey–organic farms aren’t allowed to use antibiotics to treat their animals. This is a horrible reality that must be shared with vegetarians and omnivores who purchase and consume cow or goat dairy from these so-called “feel-good” organic farms as an alternative to animal products from factory farms. There’s nothing “feel-good” about them for the animals who suffer. I am grateful this goat was rescued and to be able to pass on this crucial info. 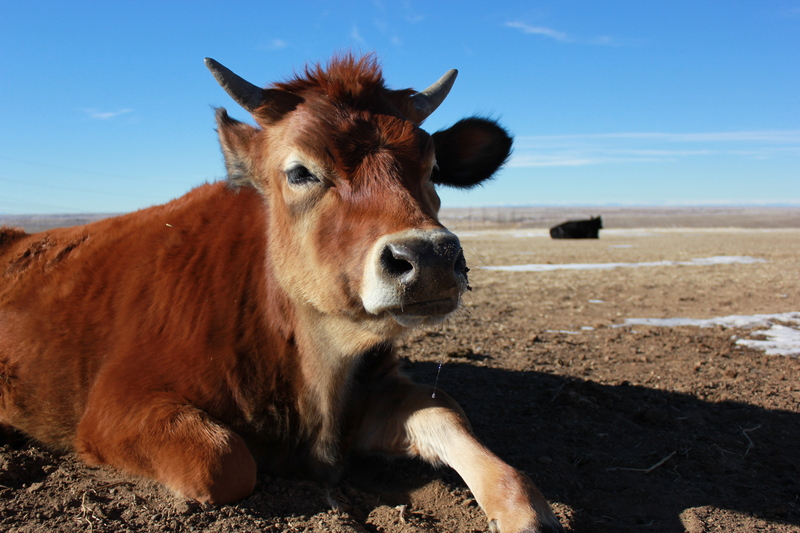 Sanctuaries like Peaceful Prairie are a fantastic and important reminder to me of why I am vegan–seeing rescued animals always motivates to try harder and do more for the animals. Eating a vegan diet and telling others about being vegan are important steps, but there’s always so much more we can do. Interacting with the non-human animals for whom I choose this delicious, easy, and extremely rewarding lifestyle known as veganism is such a pleasure. I look forward to returning to the sanctuary at some point in the not-too-distant future and wish Peaceful Prairie continued success with their fundraiser. 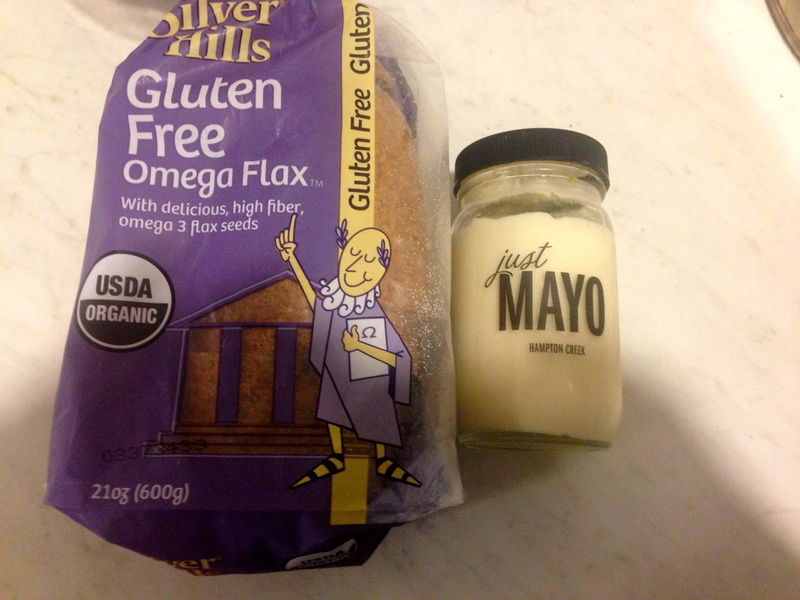 You can learn more about Peaceful Prairie and donate to their fundraiser here.